This is “Determining Your Main Ideas”, section 10.1 from the book Public Speaking: Practice and Ethics (v. 1.0). For details on it (including licensing), click here. Revisit the function of a specific purpose. Be able to narrow a speech from all the possible points to the main points. When creating a speech, it’s important to remember that speeches have three clear parts: an introduction, a body, and a conclusion. The introduction establishes the topic and whets your audience’s appetite, and the conclusion wraps everything up at the end of your speech. The real “meat” of your speech happens in the body. In this section, we’re going to discuss how to think strategically about the body of your speech. We like the word strategic because it refers to determining what is important or essential to the overall plan or purpose of your speech. Too often, new speakers just throw information together and stand up and start speaking. When that happens, audience members are left confused and the reason for the speech may get lost. To avoid being seen as disorganized, we want you to start thinking critically about the organization of your speech. In this section, we will discuss how to take your speech from a specific purpose to creating the main points of your speech. Before we discuss how to determine the main points of your speech, we want to revisit your speech’s specific purpose, which we discussed in detail in Chapter 6 "Finding a Purpose and Selecting a Topic". Recall that a speech can have one of three general purposes: to inform, to persuade, or to entertain. The general purpose refers to the broad goal for creating and delivering the speech. The specific purpose, on the other hand, starts with one of those broad goals (inform, persuade, or entertain) and then further informs the listener about the who, what, when, where, why, and how of the speech. In each of these three examples, you’ll notice that the general topic is the same—open-source software—but the specific purpose is different because the speech has a different general purpose and a different audience. Before you can think strategically about organizing the body of your speech, you need to know what your specific purpose is. If you have not yet written a specific purpose for your current speech, please go ahead and write one now. Once you’ve written down your specific purpose, you can now start thinking about the best way to turn that specific purpose into a series of main points. Main pointsThe series of key ideas that you develop to help your audience understand your specific purpose. 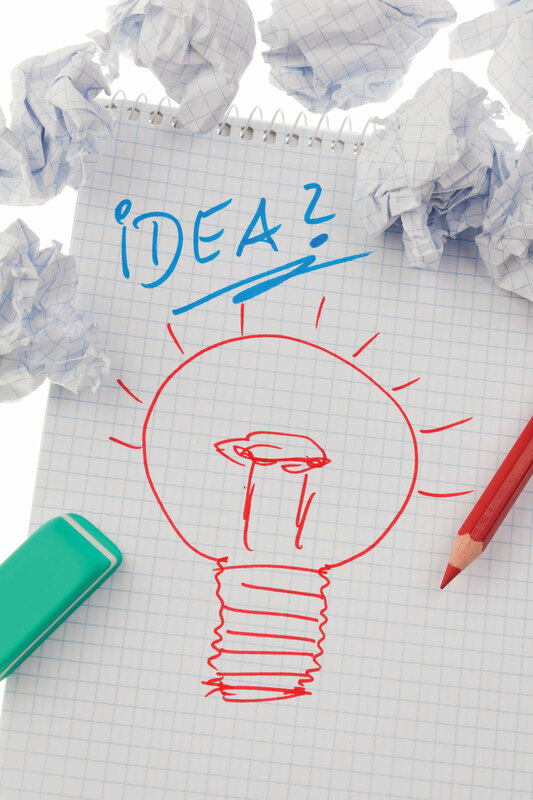 are the key ideas you present to enable your speech to accomplish its specific purpose. In this section, we’re going to discuss how to determine your main points and how to organize those main points into a coherent, strategic speech. While there is no magic number for how many main points a speech should have, speech experts generally agree that the fewer the number of main points the better. First and foremost, experts on the subject of memory have consistently shown that people don’t tend to remember very much after they listen to a message or leave a conversation.Bostrom, R. N., & Waldhart, E. S. (1988). Memory models and the measurement of listening. Communication Education, 37, 1–13. While many different factors can affect a listener’s ability to retain information after a speech, how the speech is organized is an important part of that process.Dunham, J. R. (1964). Voice contrast and repetition in speech retention (Doctoral dissertation). Retrieved from: http://etd.lib.ttu.edu/theses; Smith, R. G. (1951). An experimental study of the effects of speech organization upon attitudes of college students. Speech Monographs, 18, 292–301; Thompson, E. C. (1960). An experimental investigation of the relative effectiveness of organizational structure in oral communication. Southern Speech Journal, 26, 59–69. For the speeches you will be delivering in a typical public speaking class, you will usually have just two or three main points. If your speech is less than three minutes long, then two main points will probably work best. If your speech is between three and ten minutes in length, then it makes more sense to use three main points. You may be wondering why we are recommending only two or three main points. The reason comes straight out of the research on listening. According to LeFrancois, people are more likely to remember information that is meaningful, useful, and of interest to them; different or unique; organized; visual; and simple.LeFrancois, G. R. (1999). Psychology for teaching (10th ed.). Belmont, CA: Wadsworth. Two or three main points are much easier for listeners to remember than ten or even five. In addition, if you have two or three main points, you’ll be able to develop each one with examples, statistics, or other forms of support. Including support for each point will make your speech more interesting and more memorable for your audience. Now that you have brainstormed and developed a list of possible points, how do you go about narrowing them down to just two or three main ones? Remember, your main points are the key ideas that help build your speech. When you look over the preceding list, you can then start to see that many of the points are related to one another. Your goal in narrowing down your main points is to identify which individual, potentially minor points can be combined to make main points. This process is called chunkingThe process of taking smaller chunks of information and putting them together with like chunks to create more fully developed, larger chunks of information. because it involves taking smaller chunks of information and putting them together with like chunks to create more fully developed chunks of information. Before reading our chunking of the preceding list, see if you can determine three large chunks out of the list (note that not all chunks are equal). One of the biggest mistakes some speakers make is to spend most of their time talking about one of their main points, completely neglecting their other main points. To avoid this mistake, organize your speech so as to spend roughly the same amount of time on each main point. If you find that one of your main points is simply too large, you may need to divide that main point into two main points and consolidate your other main points into a single main point. Let’s see if our preceding example is balanced (school districts use software in their operations; what is open-source software; name some specific open-source software packages that may be appropriate for these school administrators to consider). What do you think? Obviously, the answer depends on how much time a speaker will have to talk about each of these main points. If you have an hour to talk, then you may find that these three main points are balanced. However, you may also find them wildly unbalanced if you only have five minutes to speak because five minutes is not enough time to even explain what open-source software is. If that’s the case, then you probably need to rethink your specific purpose to ensure that you can cover the material in the allotted time. Another major question to ask yourself about your main points is whether or not they have a parallel structure. By parallel structure, we mean that you should structure your main points so that they all sound similar. When all your main points sound similar, it’s simply easier for your audiences to remember your main points and retain them for later. Let’s look at our sample (school districts use software in their operations; what is open-source software; name some specific open-source software packages that may be appropriate for these school administrators to consider). Notice that the first and third main points are statements, but the second one is a question. Basically, we have an example here of main points that are not parallel in structure. You could fix this in one of two ways. You could make them all questions: what are some common school district software programs; what is open-source software; and what are some specific open-source software packages that may be appropriate for these school administrators to consider. Or you could turn them all into statements: school districts use software in their operations; define and describe open-source software; name some specific open-source software packages that may be appropriate for these school administrators to consider. Either of these changes will make the grammatical structure of the main points parallel. The last question you want to ask yourself about your main points is whether the main points make sense in the order you’ve placed them. The next section goes into more detail of common organizational patterns for speeches, but for now we want you to just think logically about the flow of your main points. When you look at your main points, can you see them as progressive, or does it make sense to talk about one first, another one second, and the final one last? If you look at your order, and it doesn’t make sense to you, you probably need to think about the flow of your main points. Often, this process is an art and not a science. But let’s look at a couple of examples. All speeches start with a general purpose and then move to a specific purpose that gives the who, what, where, and how for the speech. Transitioning from the specific purpose to possible main points means developing a list of potential main points you could discuss. Then you can narrow your focus by looking for similarities among your potential main points and combining ones that are similar. Shorter speeches will have two main points while longer speeches will generally have three or more main points. When creating your main points, make sure that they are united, separate, balanced, parallel, and logical. Generate a specific purpose for your current speech. Conduct a brainstorming activity where you try to think of all the possible points you could possibly make related to your specific purpose. Once you’ve finished creating this list, see if you can find a meaningful pattern that helps you develop three main points. Pair up with a partner. Take the three main points you developed in the previous exercise, exchange papers with your partner and ask him or her to see whether or not they are united, separate, balanced, parallel, and logical. You do the same for your partner’s main points. If they are not, what can you or your partner do to fix your main points?